Pilot light goes out? Unit won’t start? Thermostat issues? Call 530 386 5955 and consider it done! Not everyone knows this, but gas stoves and fireplaces are not maintenance free. Although their chimneys do not need as much attention, the fireboxes need a regular service in order to keep them safe and in good working operation. 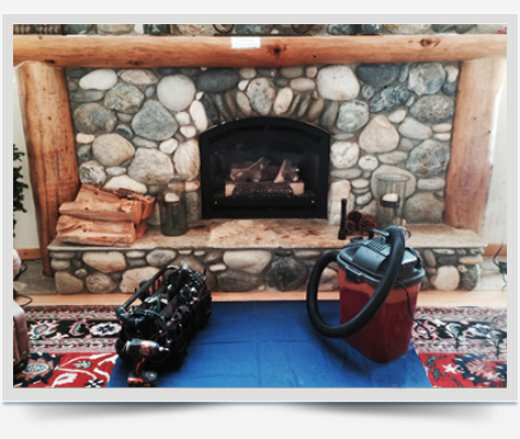 Tahoe Chimney & Fireplace recommends servicing your units at least every 2 years or more as needed. Dust, dirt and tree pollen get sucked in via the direct vent air intake and gradually clog up the burner tray and the pilot orifice. This affects the shape of the flame, which may cause improper impingement or make it difficult to start the pilot. The firebox is also a trap for bees and other insects. The glass overtime may also display a “white haze” which if untreated may develop into a permanent etch and make it uncleanable. The millivolt valve gas pipe connections may have developed small gas leaks and may have been feeding the occupants with CO Carbon monoxide, which although odorless does have negative health effects through slow long term exposure. as a BONUS we will supply the unit with a good dose of new glowing embers for some extra AMBIANCE. You will always be met by highly trained NFI-Certified, CA licensed professional to provide quality service and leave you fully informed about the condition of your system. Photos, videos and notes will be all shown on the spot and E-mailed to you in a service Report, along with any free estimates on repairs or adjustments needed with a range of options that apply to your system needs.